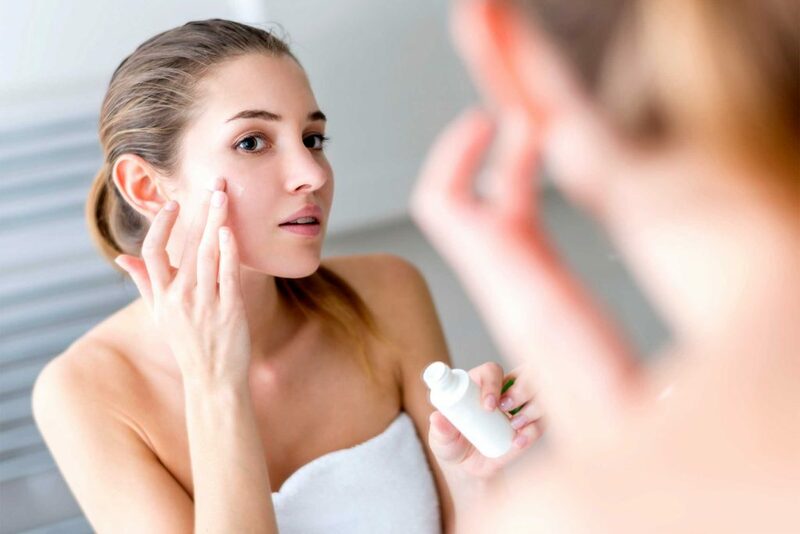 While excessively oily skin and moisturizers may sound like a counterintuitive idea, keeping your skin well-moisturized is a huge factor in battling acne. For those people who suffer from such skin condition, choosing the best moisturizer for acne is not always a piece of cake. 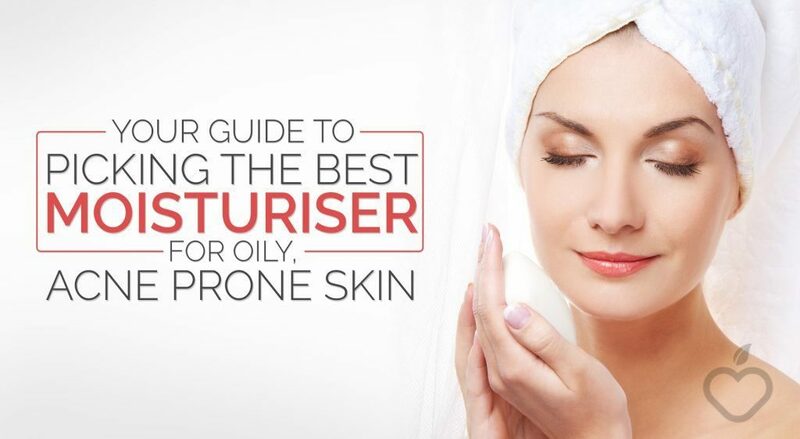 In this article piece, we will reveal an in-depth guide in order for you to find the best moisturizer for oily acne prone skin. It is important to know and understand your skin type and your acne condition as it helps you determine the appropriate moisturizer for your skin. There are particular moisturizers with formulas that are specialized for a certain skin type whether it is oily, sensitive, dry, or combination. If you have sensitive skin, it is highly significant to choose moisturizers that are hypoallergenic or tested for allergies. 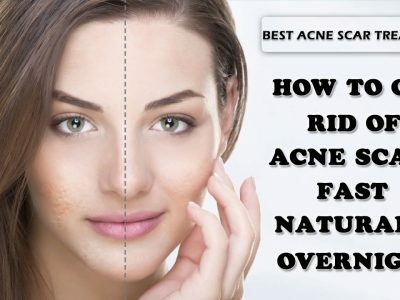 It is also essential to determine what condition your acne is. 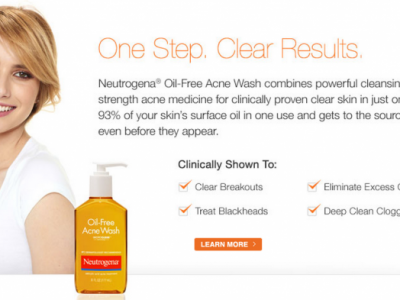 Some are suffering from severe acne breakouts while the others are not. 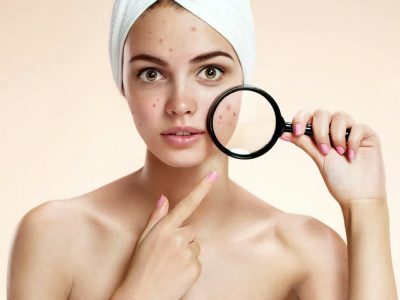 If you know the acne condition you have, you’ll be able to point out and choose the moisturizer and treatment with safe and reliable ingredients that fight off acne and hence, eliminate them effectively. With the overwhelming options for moisturizers, choosing the best product becomes inevitably tough. 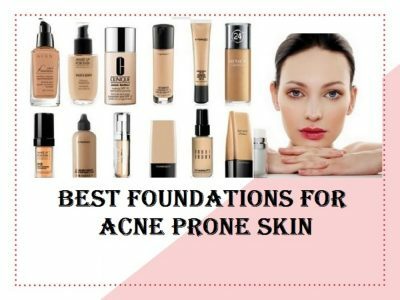 But if you are going to use a moisturizer for acne for the first time, you may want to consider reputable brands that have been known for making anti-acne treatment products and skin care products. They have pioneered technologies, treatments, and strategies to battle different sorts of skin and acne problems. Although you can try brands that have emerged in the same industry recently, you need to check and review the products thoroughly to prove its effectivity. Our skin is delicate and applying products that are not gentle to the skin may cause harmful effects and skin problems in the long run. Before you purchase a moisturizer for your acne prone skin, reviews from the consumers who have bought the product would also be a helpful basis to check the product’s effects on the skin. Although each and every person differ when it comes to skin types, the reviews would give you an idea of how the moisturizer works or what potential problems it may cause. One of the major factors to consider is the ingredients. Although these moisturizers are formulated to battle acne problems, clear up blemishes, and enhance your skin’s moisture, some ingredients may cause irritation, allergy, and other skin problems to your skin. Therefore, helping yourself be familiar with the ingredients that are safe and harmful will help you pick out the most suitable moisturizer for the type of skin you have. Always read the labels for the ingredients. 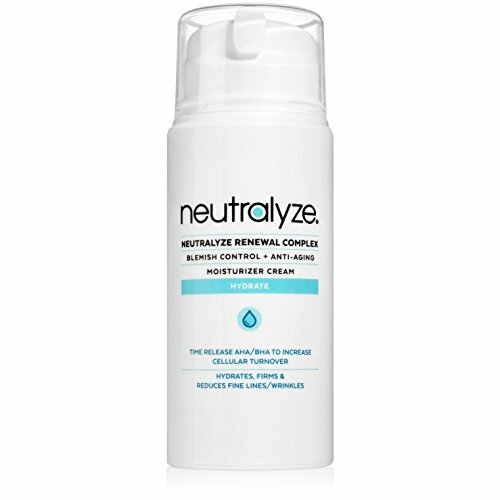 As the technology of the beauty and medical industry progresses, more and more synthetic ingredients in the market claim that it can help with acne relief. We are not fully ruling out the effectivity of laboratory produced ingredients as many of these actually work. On the other hand, nature’s wonders are still deemed more safe and effective in terms of the best moisturizer for acne. As a quick reference for your next moisturizer purchase, we rounded up 5 of the most popular and efficient natural ingredients proven to help soothe oily and acne prone skin. Tea tree oil: tea tree oil is a natural antiseptic that efficiently eliminates bacteria that mostly causes acne breakouts. Additionally, tea tree oil also aids in soothing aggravated skin thanks to its powerful blend of antioxidants and oil-balancers. Aloe Vera: one of the most popular wonder plants that feature a ton of skin benefit is aloe vera gel. It has anti-inflammatory components that promote skin repair in order for a troubled skin to heal. If you are suffering from severe acne and hyperpigmentation, aloe vera is an ingredient to keep skin redness and irritation at bay. Willow Bark Extract: salicylic acid is a very effective ingredient that kills pimple-causing bacteria and does a significant role in drying up acne. Willow bark extract is a natural form of a salicylic acid; which means it has the same effect in terms of fighting acne but without the drying sting. Green Tea: green tea has natural antibacterial and anti-inflammatory properties as well. Apart from these two, one of its major benefits is its heavily hydrating components that provide moisture replenishment thrice as much compared to the usual skin emollients. It is also rich in antioxidants that protect the skin against harsh environmental elements and chemicals that aggravate acne. Kaolin Clay: is a natural ingredient usually found in masks and facial cleansers because it has exceptional deep-cleansing and oil-absorbing properties. Excessive oil and sebum production is one of the major causes of acne as it tends to trap dirt into the pores. With the help of kaolin clay, excessive sebum is significantly reduced thanks to its oil-absorbing action. When applying moisturizers, timing is also important. And to keep up with your cleansing routine in the morning, the EltaMD AM therapy facial moisturizer would be a great addition. It is paraben-free and safe to use for people with combination and oily skin. It has a creamy texture but does not leave a muggy feeling in the face. With the regular application in the morning after cleansing, you can get a softer and smoother skin. The EltaMD AM therapy moisturizer is also formulated to prevent acne breakouts. It keeps the skin moisturized for up to 12 hours. It also soothes irritation, redness, and flaking and hence, also a good moisturizing solution for those who have sensitive skin. Formulated with a natural ingredient, willow bark extract, it can dry up the acne and eliminates the pimple-causing bacteria. To achieve an acne-free and smooth skin, you can pair the AM therapy with the EltaMD PM therapy facial moisturizer. Before you cap the night off, a pearl size on your hand can keep your skin moisturized while you’re at rest. As it is an oil-free moisturizer, it deeply hydrates the skin without leaving a greasy or sticky feeling. It is fragrance-free and noncomedogenic, which is safe for those who have sensitive skin. It is formulated with ceramide and peptide-enhanced ingredients, which unleashes antioxidants and niacinamide that improves the skin for a smoother, softer, and fresher condition. As it is gentle to the skin, you can be less vulnerable to acne breakouts and other skin irritations. It can be the best night cream for acne prone skin you’re looking for! If you have acne prone skin and you often go out, you are probably battling the harmful UV rays and acne flare-ups at the same time. That is why choosing a skin moisturizer for acne should also provide sun protection. 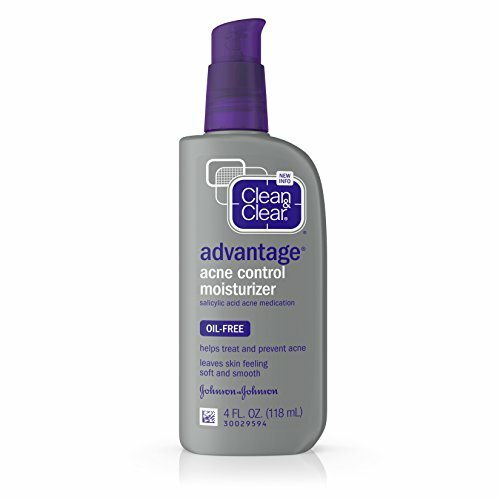 This EltaMD UV clear broad-spectrum skin moisturizer has the best SPF moisturizer for acne, that gives your skin the protection it needs against the harmful UVA and UVB rays. Without enough protection, these rays can foster aging and can cause skin burns and irritations. Formulated with vitamin B3, hyaluronic acid and lactic acid, this moisturizer does not only calm and protect the skin from acne breakouts, but also an effective aid to promote healthy, smooth, and young-looking skin. As it contains SPF 46, you can enjoy the sun’s heat whether you stroll in a park during the day or revel in your favorite outdoor activities. Another anti-acne treatment you can use as a moisturizer for your oily and acne prone skin is the Vichy Normaderm Beautifying anti-acne treatment. As you dab your face with this moisturizer, you can keep your skin hydrated for 24 hours. It does not clog the pores and works on the skin to reveal a more radiant and smoother skin. If you are struggling with acne pimples, acne blemishes, recurrent shine, dull complexion, and dilated pores, the Vichy Normaderm moisturizer and anti-acne treatment is clinically tested to minimize and eliminate these skin problems. All you need is to apply a little amount or thin layer of moisturizer on the affected area and gently massage it. For better results, you can apply it to the face up to 3 times a day. For those who have sensitive skin, this moisturizer would also be an ideal option. It does not contain paraben and fragrance, harmful compounds that may cause irritation and allergic reaction. 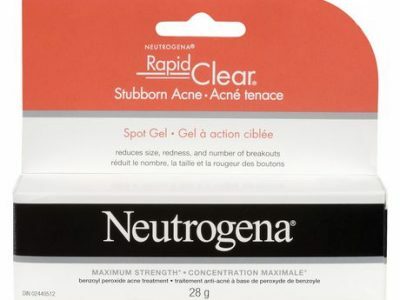 It is allergy-tested and safe to use for those who have acne-prone sensitive skin. If you have an oily skin and trying to find the most suitable moisturizer, you’ll probably opt for a product that won’t leave a greasy and sticky feeling. In contrast to what most moisturizers do, the Eau Thermale Avène Cleanance emulsion gives the skin an instant mattifying effect. It has the ability to absorb the oil and keep your skin oil-free all throughout the day. And because it is lightweight, it is gentle and comfortable to wear. The potent formula acts to regulate oil production while targeting visible blemishes and acne on the skin. As it hydrates the skin and keeps it moisturized with the mattifying effect, it also soothes the irritations on the skin leaving it soft, smooth, and healthy. It unveils your skin’s natural glow! Cetaphil is one of the reputable brands you can find on the market, which has pioneered a long trail of producing skin care products that are applicable on all types of skin. As for the moisturizer for acne prone skin, they have got the Cetaphil Dermacontrol Facial Moisturizer. It is a 3-in-1 moisturizer that functions to control oil, hydrate, and provide protection from UVA and UVB rays. While it targets blemishes and acne, it also protects the skin from the harsh effects of the sun such as burns, roughness, and risks of skin cancer. With its micropearl technology, its moisturizing power gives off a lightweight and non-greasy feeling leaves your skin oil-free and gives your skin a matte finish. As it is also formulated for people with sensitive skin and acne prone skin, you won’t have to worry about acne breakouts, clogged pores, and acne blemishes. Bee Naturals moisturizer is formulated with potent ingredients with anti-aging properties, hydrating ability and antioxidants that all work to keep the skin healthy, young-looking, blemish-free, and oil-free. As it encourages the skin to reveal its natural moisture, it protects the skin from possible acne breakouts. People with oily skin realize that moisturizers would just foster more oil on the face. But Bee Naturals is formulated to work on oily skin and maintain the skin’s natural glow. This natural moisturizer for oily acne prone skin contains honey that acts as a natural antibacterial and antioxidant, that rejuvenates the skin and make it much smoother and softer. If you want to keep your acne prone skin oil free using a moisturizer, DDF Ultra-lite moisturizing dew is a good moisturizer for acne prone skin. It does not clog the pores that prevent the build-up of sebum, dirt, and dead skin cells. As it hydrates the skin through the restoration of the skin’s water levels, it prevents acne breakouts and hence, improves your skin’s appearance. It is lightweight and does not leave a greasy or sticky feeling. All its ingredients work to strengthen the moisture barrier. It also works on sensitive skin, so you can apply it as often as needed. It contains Glycerin and Niacinamide, skin conditioners that nourish the skin to make it soft, smooth, and acne-free. If you are struggling with acne prone and oily skin, Murad anti-aging acne moisturizer must be the best moisturizer for oily acne prone skin that you need. Apart from its anti-aging properties, it protects the skin from harmful effects of UVA and UVB rays and revitalizes the skin for a clearer and more youthful complexion. It contains SPF 30 that shields your skin from the possible damages caused by the sun. It is ultra-light and fast absorbing. 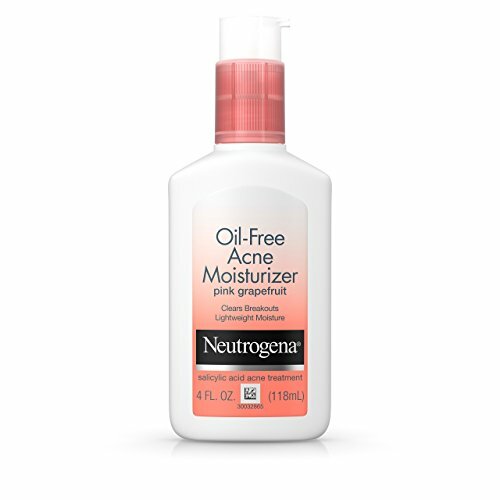 This face moisturizer hydrates your skin and provides protection to deter the breakouts of acne and blemishes. And while it enhances your skin’s natural texture, it also helps diminish the effects of aging such as wrinkles and fine lines. You can fight off oily skin, acne breakouts, and aging all at once! Another night cream that you can consider is the Murad Perfecting night cream. Night creams also offer an effective solution to enhance your skin’s appearance while at rest. It replenishes moisture and rejuvenates overnight. And so everytime you wake up for tomorrow and for the next days, you can indulge in a much smoother and softer skin. It contains sunflower oil, green tea and vitamin E that all function to prevent damages to the skin such as acne breakouts, irritations, and rough skin texture. It also elevates elasticity and suppleness so you can maintain your skin’s natural and healthy radiance. All its natural ingredients are formulated to combat acne and blemishes while regulating the moisture on your face. If you are looking for a moisturizer that also functions as an excellent under makeup cream, you can go with the Lavo Daily Moisture cream. It is applicable for all skin types such as oily, dry, and combination. Due to its natural and botanical ingredients, it can also work well with sensitive skin without causing irritation, allergies, and breakouts. 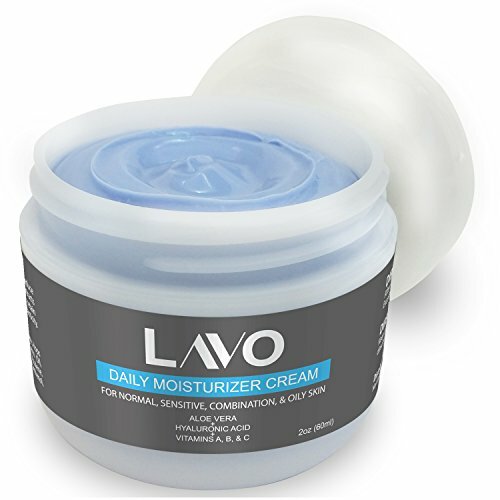 The Lavo Daily moisturizer cream is formulated to provide enough moisture in the skin while keeping it soft, smooth, and supple. As it protects the skin layer from the harmful elements that aggravate acne and other irritations, it also has anti-aging properties that make the skin more youthful, clearer, and fresher. 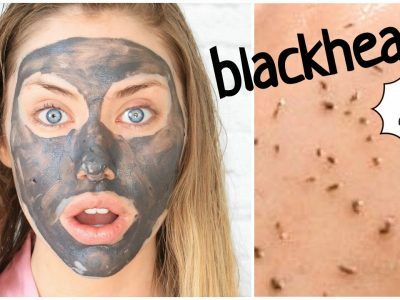 It also contains herbal extracts that block the bacteria and pollutants that can clog the pores and trigger pimples, acne, blackheads, and whiteheads. While there are a ton of moisturizers for women, there is also a huge array of moisturizers for men that offer benefits and treatment for the skin. Baxter of California oil free moisturizer is one of those products that you can try to give your skin the moisture it needs. As it restores the skin moisture barrier, it also soothes the skin and protects it from the signs of aging. 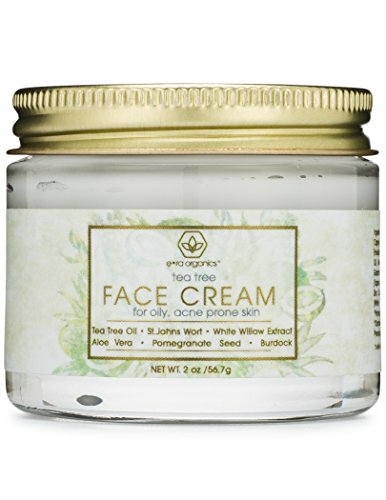 Its key ingredients are aloe vera, chamomile, and green tea extract, which all work to repair the skin, provide optimum hydration, and fight off acne-causing bacteria. Due to its aloe vera content, it can also work with those who are suffering from severe acne and hyperpigmentation. It is lightweight and does not leave a greasy and sticky feeling. LilyAna Natural retinol cream moisturizer is one of the best-selling moisturizers you can find on the market today. It contains some of the best ingredients a moisturizer should have such as hyaluronic acid, vitamin E, green tea, shea butter, and jojoba oil. It restores the skin from dryness, peeling, and flaking and enhances its texture by providing enough moisture. With its natural ingredients, men and women with different skin types can use it and take advantage of its benefits. If you have acne prone skin and sensitive skin, LilyAna Naturals moisturizer would also be an effective solution. It is gentle and does not cause skin irritations, breakouts, and works well with blemish prone areas. 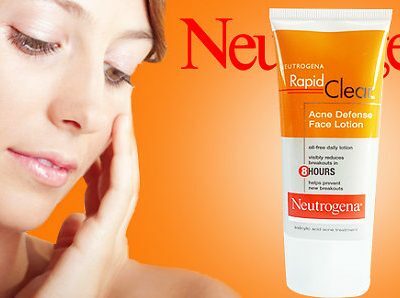 It does not clog pores that usually causes dull complexion. Apart from its properties that fight off blemishes and acne, it also aids your skin to eliminate dark circles and eye bags and reduces scars to bring out an even and radiant complexion. You can use it daily and anytime you need it. Aveeno clear complexion blemish treatment is formulated with ingredients to fight off blemishes and acne breakouts. As it harbors the power of Active Naturals Total Soy Complex, it has the ability to keep the skin healthy and free from blemishes and acne. Soy has been proven to provide benefits that reduce blotchy skin and discoloration. Hence, give your skin a clearer, youthful, and even complexion. 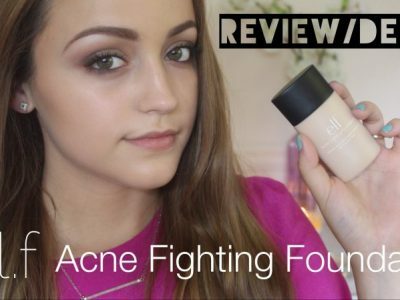 It contains an oil-free formula that minimizes acne breakouts and clears up blemishes. And because it is hypoallergenic, it is guaranteed safe for people with sensitive skin and applicable for daily use. Even with just a small amount of this moisture wonder, you can give your skin the moisture it needs and the treatment that will keep your skin under control. As everyone can struggle with acne and other skin issues that come along with it, choosing the ultimate moisturizing solution becomes crucial. There are a lot of options for moisturizers that can offer different kinds of benefits to the skin. But the most suitable moisturizer for your skin type and acne condition will help you combat acne breakouts and can even deter the growth of other skin problems. Understand your skin type and acne condition. Moisturizers are an excellent addition to your beauty regimen. But as these nourish and smoothen the skin, these moisturizers are formulated with safe and effective ingredients that can keep the skin healthy and acne-free! So, if you’re looking for the best product on the market, hope this comprehensive review and guideline will help you out!